National security is under threat! The evil Mr Big has escaped from prison AGAIN and he's on a mission to steal Egypt's most valuable treasure, the Nile Ruby. 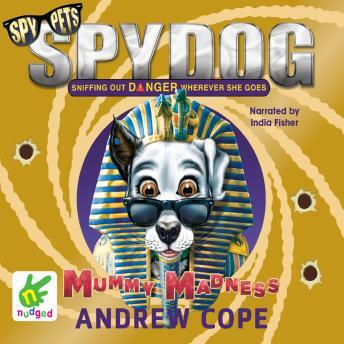 The Prime Minister knows only one agent can stop this evil criminal mastermind - Spy Dog! But can Lara learn some new tricks in time to find the ruby, protect her pups and get Mr Big back in jail where he belongs?